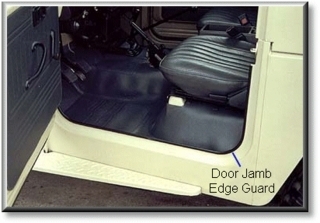 Door Edge Trim ~ "Boot Guard"
Door jamb edge guard trim: Protects vulnerable door jam edge from chipping, scuffs and scratches as boots strike paint / jamb when entering vehicle. 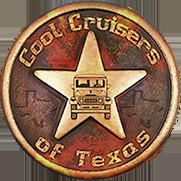 Great protection for door threshold and keeps new paint jobs looking great for years. 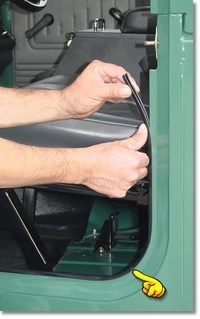 "Boot Guard Trim" is simple to install. Spread open trim and press down over lower door jam edge. Trim clips onto door jamb. Next, firmly press down trim on to jamb edge so that jamb will make contact with built in trim adhesive (tar like) for additional hold. 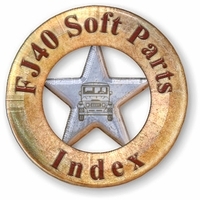 "Boot Guard Trim" is installed on 100% of CCOT's FJ40 Restorations.